As much as you’d like to dismiss it, water has a sinister side to it that is known to eat your property inside out. Damp and wet walls or ceilings can make your home a nesting ground for mold, a biohazard that can jeopardize the health of the dwellers. The worst part of it is that, while a major plumbing failure such as a burst pipe could send out the red flag early, there are cases where property owners are oblivious to the fact that there’s water damage sapping the health of their property without them even knowing it. For all you know, the seemingly harmless damp spot visible on the wall could be harboring hazardous mold in the space behind it – that’s how dangerous water damage is to your property. 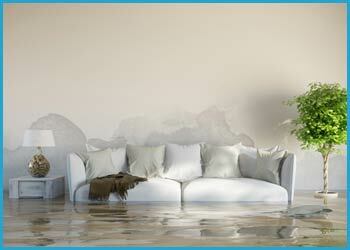 At the smallest signs of water damage, be quick to call Fort Lauderdale Restoration Company on 954-417-0601. Category 1: In this case, the source of water is ‘clean’ and carries no form of contamination. Typically, such water damage stems from a leaky faucet or overflowing sink. Category 2: Also known as ‘grey water’, it’s contaminated to some extent and arises from toilet bowls, dishwasher, washing machines etc. Category 3: This type of water damage is extremely unsanitary and is dubbed ‘black water’ because it’s highly infested with biological, physical or chemical contaminants. This comes from raw sewage or contaminated standing water and can host disease-causing bacteria. Time can have a negative impact on your property. Ignoring the problem, believing it will go away on its own isn’t the solution, because that is never going to happen. Due to the destructive nature of water, beware that the more you let it run, the greater the damage you’ll have to bear. Within 24-hours: Water that’s Category 1 remains the same. Carpets can get soaked, and water will begin to seep through porous materials. After 24-hours: Any Category 1 water is considered category 2 and mold formation commences. Some materials may be beyond the point of being saved, such as the wallpaper or furnishing. By 72-hours: Category 1 or Category 2 water turns into Category 3. Depending on the extent of damage, your structure might take a hit and the property may become a breeding ground for bacteria, warranting the need for evacuation until it’s deemed safe by a restoration expert. Whether your washing machine malfunctioned or your faucet has been dripping away all night, do not neglect water damage in any form. You never know what it can lead to! 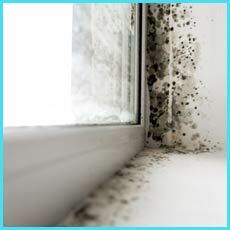 Rather, you need to get in touch with water damage remediation experts in Fort Lauderdale, FL area. 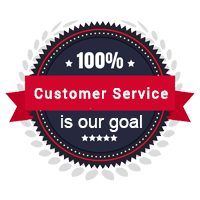 Choose Fort Lauderdale Restoration Company! Water damage? If you live in Fort Lauderdale, FL area, you don’t have to tackle it on your own. Call the pros by dialing 954-417-0601!